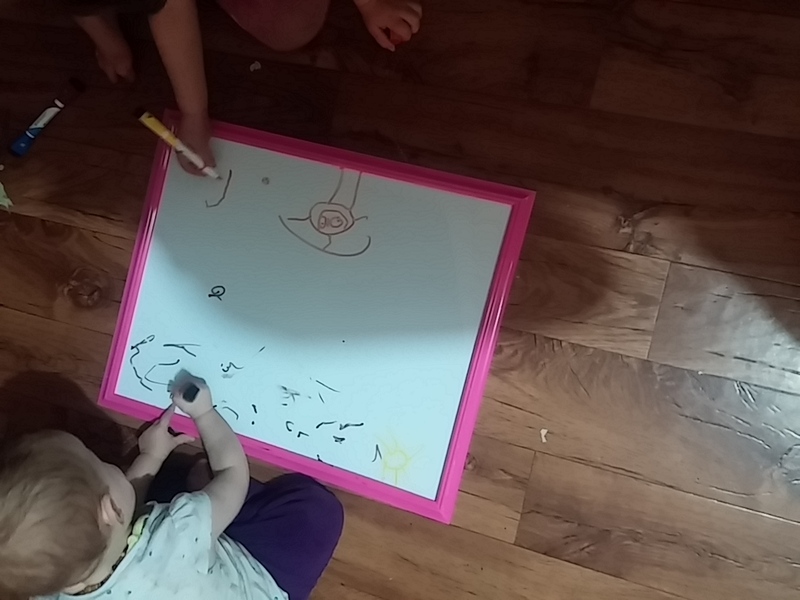 One, both my girls get so excited at drawing! I love seeing the passion has reached them. I think the talent has reached my 4yo, either that or I have no realistic milestone marker to actually make an accurate comparison to. Two, they aren’t making a mess! Three, they are sharing and playing nice and not fighting! !